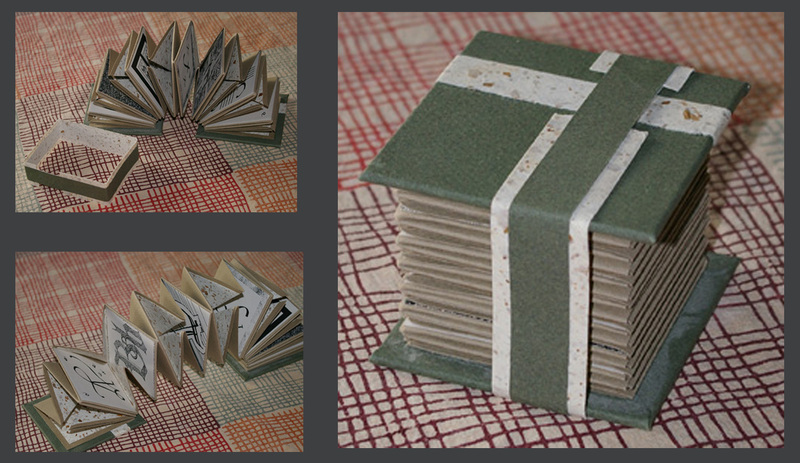 This accordian-box book was constructed to display a variety of calligraphic alphabet initial caps. Of course, a book similar to this can be constructed for any purpose you may have—family photos, weddings, or personal thoughts and visions. What would you put inside a book that was bound this way?